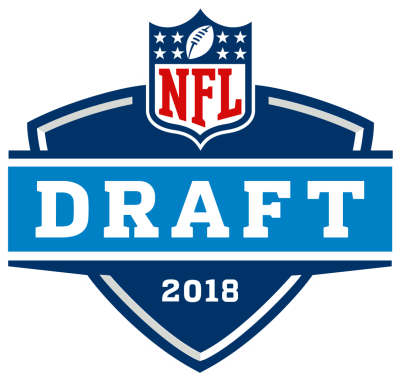 Austin participated in minicamp with the Chicago Bears in 2018, following the NFL Draft. 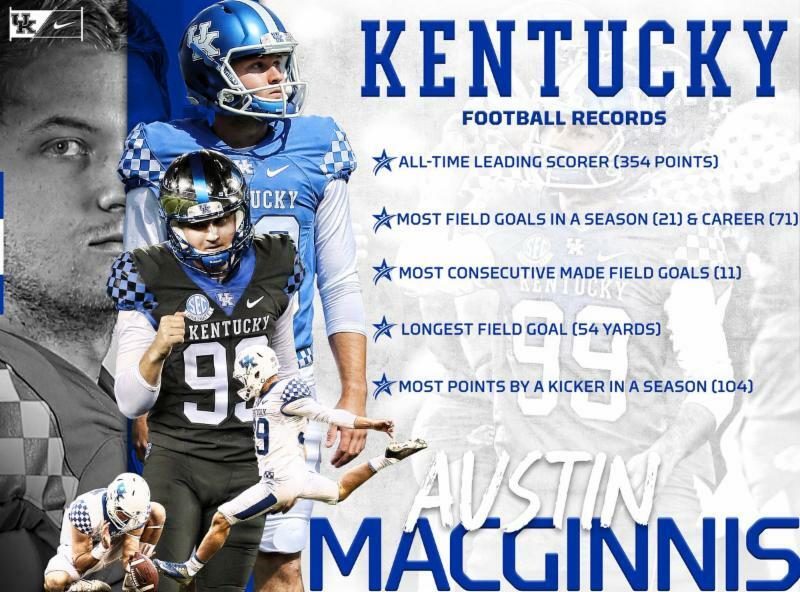 Austin is Kentucky's all-time leading scorer and holds the UK career record for field goals (63). He is also the single-season record holder for points (104 in 2014), field goals (21 in 2014) and consecutive field goals (nine in 2014). He also has the longest field goal ever made by a Kentucky Wildcat when he boomed a 54-yarder against Tennessee in 2014. Austin has made big kicks under pressure his entire career. From 2014-2017, MacGinnis has been one of the most reliable kickers in the conference. During his four years, Austin has connected on 70 of 88 field goal attempts, good for a 79.5 percent conversion rate. For the 2017 season, MacGinnis was 20-25, with three of those misses coming from 50+ yards. 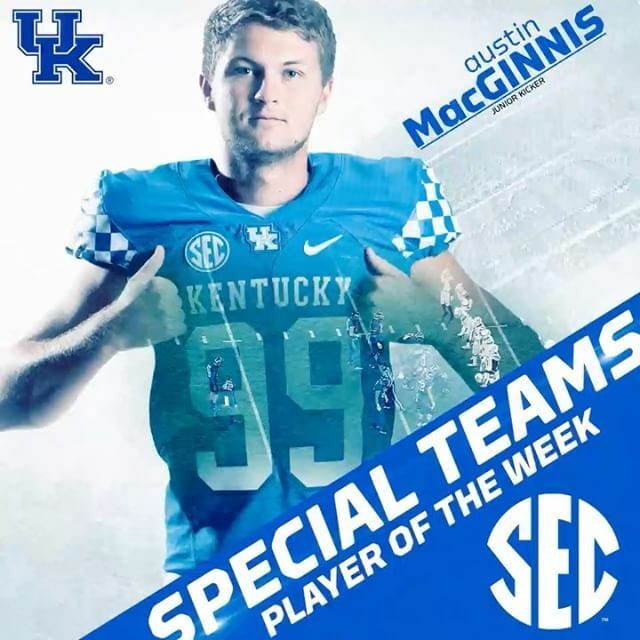 Inside 50 yards, MacGinnis was 18-20 on the year. Below is a season-by-season breakdown of Austin's performance throughout his Wildcats career for your review.